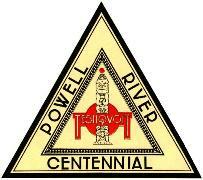 Plans are already being put in place for the celebration of our upcoming Centennial in 2010. Board executives are hard at work along with other community members in organizing and planning events and activities for the special weekend. So set aside the upcoming BC Day long weekend which encompasses Friday, July 30 to Sunday, August 1, 2010. The committee has chosen the long weekend to allow residents both past and present the time necessary to take in as many events as possible. We encourage everyone to mark this weekend on your calendar and to invite friends and family as Townsite prepares to celebrate 100 Years!